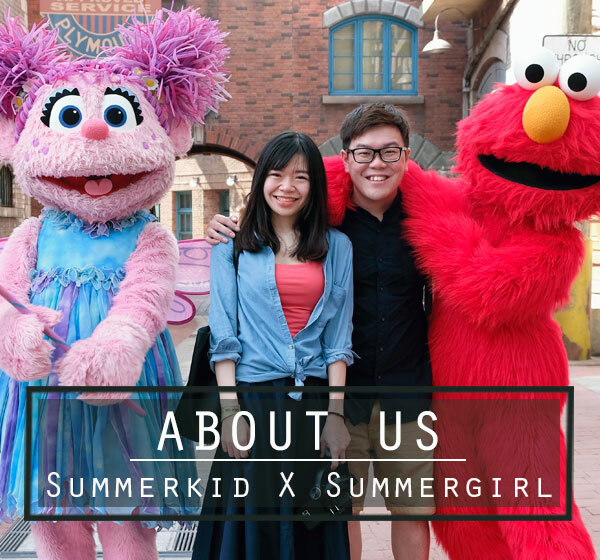 Hungry for great ramen? Now you can savour the best of Watami Japanese Casual Dining Restaurant Malaysia’s range of slurp-riffic creations for half its original price with the Oishii Wednesday promotion. It’s “Half Priced, Full Oishii, Every Wednesday” at Watami! From now till September 2014, lovers of the Japanese ramen can enjoy the lip-smacking Watami Tonkotsu Ramen at a discounted price of RM13.45 ( NP: RM26.90 ) , the aromatic seafood-rich Kaisen Tomato Ramen at only RM12.95 ( NP : RM25.90 ), the super balanced and wholesome Sapporo Miso Ramen at RM11.95 ( NP: RM23.90 ) and the irresistibly hearty Nagasaki Chanpon-fu Ramen at only RM13.45 ( NP : RM26.90 ) on Wednesdays. The best-seller and franchise signature, Watami Tonkotsu Ramen is a must-try with delectable wheat-based ramen noodles and special ginger and garlic-flavoured half boiled egg, seasoned quality chashu (pork slices) and black sesame oil drenched in a special pork broth created from hours of simmering quality pork bones and bone marrow. For something quirky and bordering on Western, treat your tastebuds to the inimitable Kaisen Tomato Ramen. This light lunch favourite features chopped garlic, black pepper and parsley atop succulent clams, squid and ramen in a rich and aromatic tomato-based broth. Equally scrumptious is the Sapporo Miso Ramen with its fragrant, light specially blended miso-based soup and ramen topped with cabbage, corn and grilled chicken wings. If you love seafood, the truly satisfying Nagasaki Chanpon-fu Ramen with best grade mussels, clams, shrimp, squid and fresh vegetables in savoury premium pork broth will leave you sighing for more! This popular Fujian-style dish was adopted and made local by residents of Kyushu during the Meiji Era. 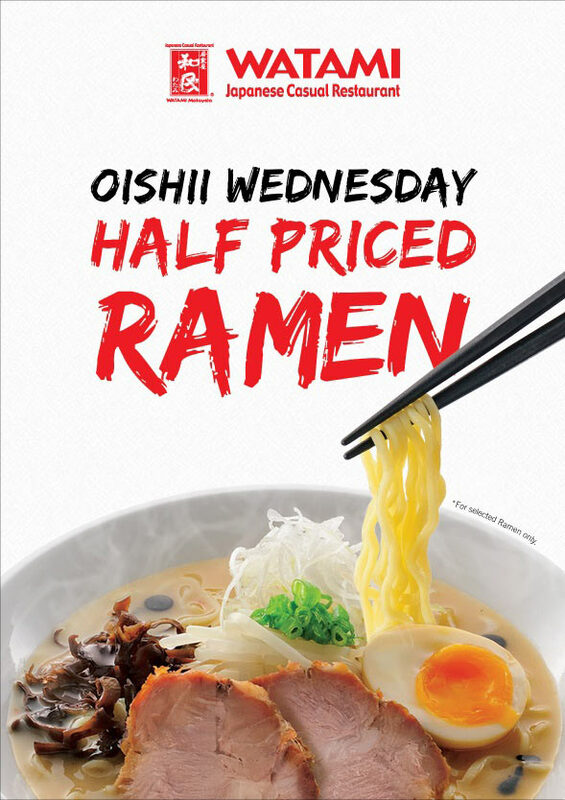 “Oishii Wednesday is a real treat for die-hard ramen enthusiasts as we note the growing and enduring popularity of this unique and incredibly versatile Japanese dish,” said Raymond Liew, Marketing Director for Chaswood Resources. Watami prides itself in offering a plethora of over 100 popular dishes, including those that are currently trending in Japan and a unique “Ishokuya” experience of dining delicious food in a comfortable, casual setting.